If I ever have to do a Stand-up routine, I can do this. 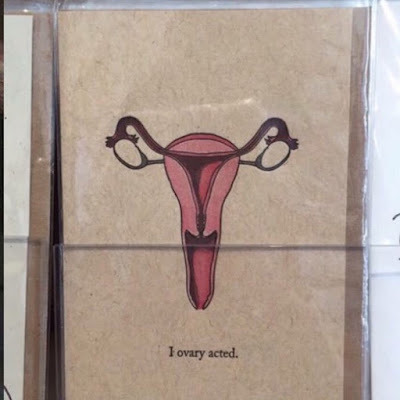 This stand-up comedy routine is inspired by my daughter when when she sent pix of ovary with caption, "Sry, I (my) ovary(s)-acted"
Joke (Riddle) ~ Why Do Women Overreact? 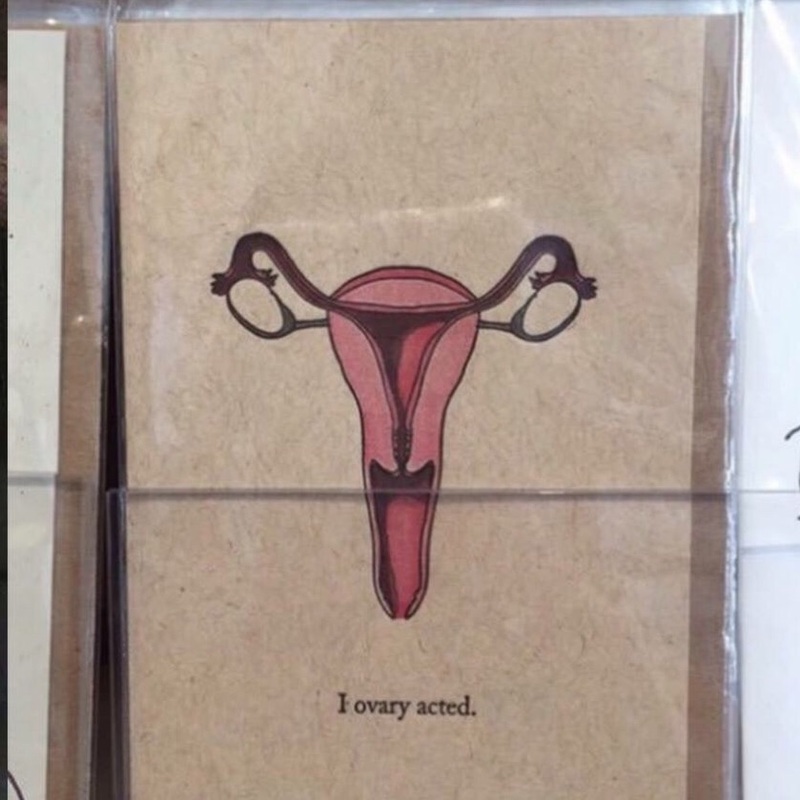 You see, only women have ovaries. they are very good in acting. Pretend don't know how to drive. Pretend eye got problem so blink-blink. or forcibly than is justified"
because... they got ovaries mah! or forcibly than is justified. "the Authority are urging people not to overreact to the problem"
"parents should set children a good example rather than overreact"